Republicans do not want to fix the existing flaws for Obamacare, Laszewski said. Instead, they want to repeal and replace it. He added that Democrats are now stating that they would rather go to a single-payer insurance plan or a public option within a government-run plan. Thus, the political system remains fragmented. Laszewski added that regardless of the outcome of the 2016 presidential election, the Republicans won’t have enough votes to repeal or replace Obamacare. Likewise, Democrats won’t have the votes to pass a public or single-payer option. The Affordable Care Act was put under the microscope on Monday when Aetna announced it would withdraw from 11 of 15 states where it offers plans within Obamacare exchanges. The news was announced just weeks after the Justice Department filed suit to block Aetna’s acquisition of Humana, though Aetna cited concerns for its second-quarter results as the reason for the exit. Unfortunately, regional organizations do not have the profits or surplus to continue for more than a year, according to Laszewski. He expects most plans to stay in the Obamacare exchanges through 2017. “If we don’t get some very significant fixes to Obamacare, the math is simple. These plans can’t continue the way it’s going. And that undermines the coverage that all of these people have gotten,” he said. Laszewski has worked in the insurance business for over 40 years, including 25 within the Washington D.C. area, where he started his own consulting business that specializes in market and health-care policy. Clients include hospitals, physician’s offices and insurance companies. 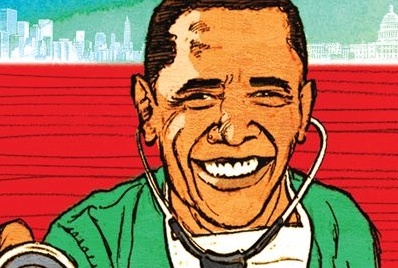 His concerns for Obamacare stem from what he says are repetitive situations in each state. The issues cited by Aetna over Obamacare losses are now being echoed in multiple states by almost every company, he said.